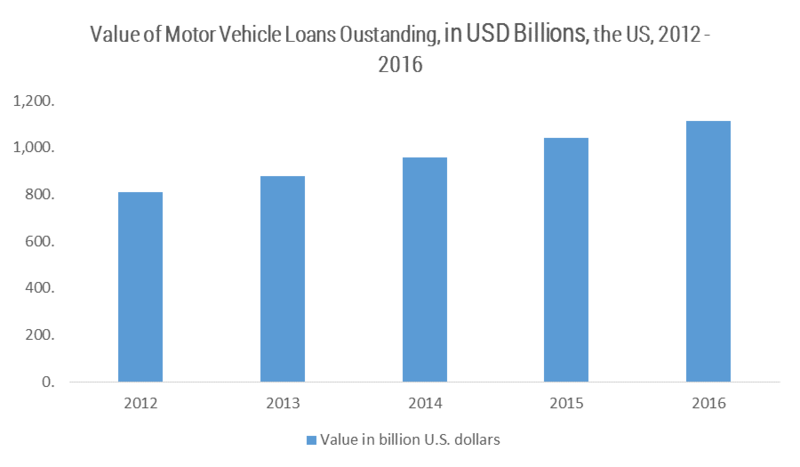 The automotive financing market has already matured in the industrialized nations, but there are untapped opportunities in the developing countries, where the market has extremely low penetration. The major laggards in the world are Latin American and Eastern European countries, where some countries have registered a double-digit fall in vehicle sales in the past five years. Brazil, which was a big contributor to the car market, has suffered one of the biggest falls in the past few years. The economic recession continued well into 2017, and the Brazilian market is expected to continue to lag. One of the chief reasons for the low automobile sales in the African countries is the unavailability of finance options. The base interest rate in Ghana is 26%, indicating that automobile loans are out of reach for most people. This is a major cause for concern in many emerging economies. The Iran automobile market, which would otherwise offer great opportunities due to the removal of sanctions, faces a similar problem. The base rate of interest in a very promising automobile market is as high as 21%. The loan market for second-hand cars would increase at a faster pace on account of increased demand from the Asia-Pacific region. The premium cars segment that had seen shrinking of market share in the past few years as customers opted to go for the luxury brands will register strong sales. Financing of premium cars will see a high rate of growth in the forecasted period. On account of strong demand in the industrialized and emerging economies, financing of passenger vehicles is forecasted to register the strongest rate of growth by 2023. The global auto financing market has been segmented by type, purpose, vehicle type, and region. January 2018: Nissan's automotive finance arm announced collaboration with AutoGravity, the automotive shopping and financing platform.